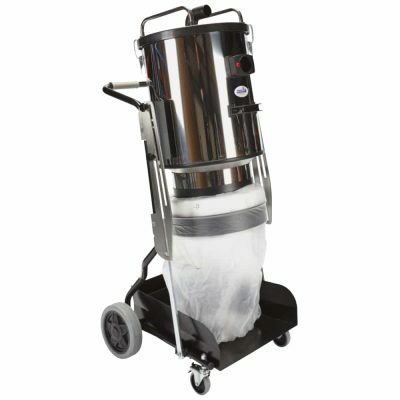 Our dust interceptors collect up to 98% of dust from concrete grinding. Our dust Interceptor units will collect up to 98% of the dust created by grinding or scabbling before it even reaches the filter in your industrial vacuum. The Interceptor system reduces wear on the vacuum motors and extends the life of the vacuum filter as well as all the other components. There are no moving parts to fail or wear and all of our interceptors are maintenance free! People find it hard to believe when we explain how good our Interceptors can be and the benefits to be gained, but once they try the interceptor for themselves the significant advantages become very obvious! Our inteceptors “intercept” the dust before it has chance to reach the vacuum and block the filter. They are designed to create a very efficient cyclonic effect that spins out the dust towards the bottom of the waste bin, leaving the clean air at the top and centre to be exhausted into the vacuum unit greatly reducing the frequency required for filter cleaning. When using an interceptor your filters remain cleaner for longer, therefore your effective dust control improves considerably while greatly reducing your downtime previously spent cleaning filters. 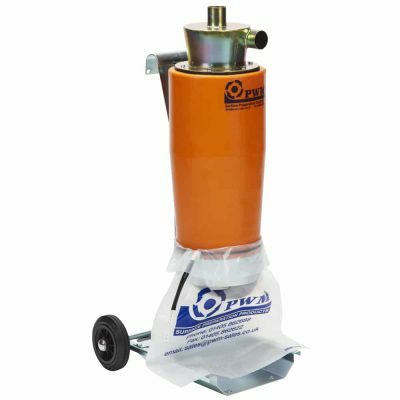 The performance of even the most basic vacuum can be considerably improved by the addition of one of our proven interceptors.